Hire a Car on the West Coast of Florida, Venice is known for the beautiful long white sandy beaches and the unique American architecture. Many tourists come each year, looking for a sunshine family beach holiday, attracted to palm tree lined boulevards, and open spaces to relax and enjoy the surroundings. The area also attracts many people looking to relocate or retire due to the laid back life style. Hire a car from Sarasota- Bradenton or Tampa Airport. Sarasota is 28miles and 40minutes drive from the Venice beach where Tampa is 1 and a 1/2 hours drive. 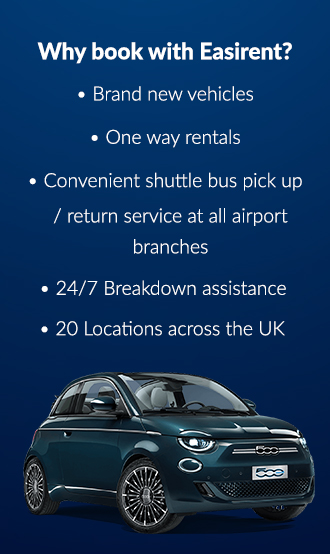 Hiring a car is ideal to navigate around the city and the surrounding areas. Drive in your hire car to the variety of beaches Venice has to offer, Casperen Beach is the longest beach in Sarasota County which is south of Venice Airport on the Harbour drive. Unspoilt and secluded a wonderful drive out for all the family, known for shelling and a good area to find pre historic sharks teeth, each year the beach hold a festival to celebrate called Sharks Tooth andSeafood Festival. For dog walkers Brohard Paw Park is a great attraction, with dog drinking fountains and showers on deck for dogs only. Venice Municipal Beach is the most well known, a favourite with tourists, a great place to dive with its coral reef one quarter mile off shore. Nokomis Beach is a family destination, a quiet beach and a great place to hire a boat or go fishing. Fishing off the piers is free and requires no license. The area is known for shark fishing, a sport not for the faint hearted. Hiring a rental vehicle is ideal for a golfing holiday in the Sarasota county of Florida are many desirable golf courses, such as Waterford, Capri Island, and Calusa Lakes. These five championship courses are both challenging and beautiful showing the best of the gold coast landscape. Drive to Salt Spring 27 miles north east of Ocala, located in Ocala National Forest, the recreational area is available for fishing boating, snorkelling or going for a picnic. There are camping facilities available for RV’s and tents. There are toilets and hot showers available as well as access to a grocery store. A great place to take the family, the National Forest is home to Whitetail Deer that roam the campsite as well as the many other woodland creatures. Drive to Adventure Island Bush Gardens Water Park, a must for children the theme park offers many water slides, rides and swimming pools, a great day out. Alternatively drive to Sea World, one of the most famous marine parks and home to Shamu the killer whale that is the star of their many shows. A great family day out with heart stopping rides and animal experience unlike any other marine park, home to sharks, polar bears, walruses and penguins. Sarasota Bradenton International Airport SRQ serves over one million passengers each year with major domestic and international airlines (the gateway to the Sarasota state). The check in terminal is user friendly, airline ticketing, baggage claim and other services are on the main concourse. The airport advises that check in times may vary with each airline. While waiting to board your flight there are many shops and restaurant available.